I’ve been nominated for another award! 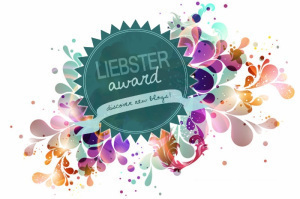 This time it’s the Liebster award. I was nominated by Ocha, who is in one of my reading circles. Check out here story, Life of the Majolentes. Here are my answers to the questions. 1.If you were a color, what color would you be? I would be orange!! It’s my favorite color and it can be warm, light, bright, dark, punchy, , and so many other things. It’s grouped overall as a warm color, but because of it’s association with citrus, it gets assigned as cool and refreshing. So many layers there, like Shrek (who I know is green, just go with it)! 2. What’s the best music that describes a hug? 3.Do you like pineapple pizza? Yes! I just had this for lunch yesterday! Me and my co-workers ordered a cheese pizza, then added pineapple at the last moment. It was delicious. 4. If love were a smell, what would it smell like? This makes me think of the Harry Potter series and Amortentia. I suppose if I were around it, I’d smell starch (the kind you use to iron dress shirts with), roasted vegetables, and cinnamon. Fall. But early fall, when you still don’t need a coat. So it’s all about layers and boots, but your house is still comfortable at night without the heat on. 6. Favorite toy as a child? I had this green telephone that was connected to another phone and they worked between each other. My brother and I would sit in different rooms and just chat away about nothing. 7. If sadness tasted like something, what would it taste like? Candy made out of the flowers you always see on funeral caskets. 8.What’s something about the world that you love? 9. Some favorite character from any book/movie/series/SimLit? 11. What would you say to yourself, back when you started SimLit? Don’t be so worried about figuring everything out before you’ve typed one word. You can adjust things as you go and it will highlight your inexperience, yes, but it won’t make you look like a terribly unfocused person. Oh right! To nominate people… I’m not sure who hasn’t already been nominated. So… I’m going to skip this part. Sorry! And since I’m not nominating anyone, there are no questions to ask either. I promise, if I hadn’t just nominated folks and asked them questions 10 days ago, I would do it again! I love Orange too! Mainly because it’s also a fruit 😃 and pineapple pizza is my fave too! Nice! My absolute favorite is pineapple, green peppers, and mushroom. I know it’s a weird combo, haha. I used to like it with pepperoni too, and I still do, but the flexitarian in me prefers certain dishes without large pieces of meat on it these days. Orange is the best and also my favorite. Really? That’s a fun thing to have in common. I don’t know too many people who prefer orange over other colors. Me neither! Most people think orange is rather tacky. They’re all idiots.